Last week, Disc Dish had a chat with Swiss filmmaker Jean-Stéphane Bron, best known on these shores for his documentaries The Blocher Experience (2013) and Cleveland vs. Wall Street (2010). 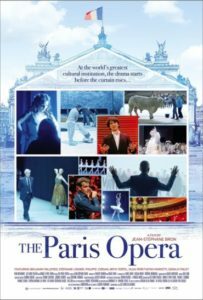 His latest film, The Paris Opera, is a feature-length chronicle on the venerable French institution, which produces numerous operas and ballets each year that are performed at the Opera Bastille and the Palais Garnier. Disc Dish: Okay, after watching The Paris Opera, I must first ask you: Are you an opera lover? 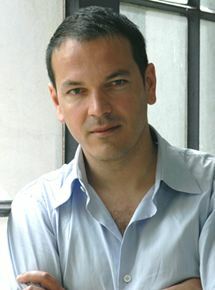 Jean-Stéphane Bron: No. Not at all. I knew nothing about opera prior to this film. DD: So you went into this not even being a casual fan? DD: You take such an expansive look at the Paris Opera—the performers, the administration, the costumers, the musicians, all the personalities… My first reaction to the film was that it is not easy to create great collaborative art! Bron: It takes a lot of work. And a lot of pain. I saw at the Paris Opera that there are moments where people are together and that they must fight, and then they must work together to accomplish what they create. And then there are moments these artists are fighting with themselves—that comes from the passion of being an artist. Yes, the creation of art takes a great deal of pain…and passion. DD: Your previous feature-length doc was 2013’s The Blocher Experience, wherein you followed the controversial, right-leaning Swiss politician Christoph Blocher across the country as he campaigned. How did The Paris Opera get in line as your follow-up project? Bron: It was a way to cure myself from the prior years spent with Blocher! I spent three years with him and it was hard to handle his kind of populism when basically it sticks deep into the heart of democracy. I wanted to find a place where I could show something different – something democratic, something where everyone had a common goal; something that was the opposite of Blocher—where everyone wanted to do something together. When my producer, an opera fan, told me about all the changes going on at the Paris Opera—a new director, a new choreographer and so on—I thought it might be a good time to do something there. DD: Obviously, when one hears about your film, one is reminded of Frederick Wiseman’s La Danse: The Paris Opera from 2009, which also documents you-know-what. Full disclosure: I haven’t seen La Danse, but I’m sensing that you take a more all-encompassing look at the Paris Opera than Wiseman does. Bron: The Wiseman film, which was great, was more about the work of the dancer and the choreographer—it captured the spirit of worked created at the Garnier. And Wiseman is observing from a very specific, very narrow view—his own! Unlike Wiseman, I wanted to include both the Garnier and the more modern Bastille opera house and all that happens in the two. But I treated it all as one world—it was one world for me—so I didn’t identify either of them when they were on the screen. DD: So rather than seeing the Paris Opera through the director’s eyes, we’re seeing it through the character’s point of view? DD: Like the young bass-baritone Micha Timoshenko? Bron: For me, it was Micha, a Russian who didn’t knew France, Paris or even the language. Watching him as he auditioned and tried to make his way into the society of the Paris Opera—I felt the closest to him. I wanted the audience to see the Paris Opera through his eyes. When we focus on [choregrapher] Benjamin Millepied, we see it through his eyes. Bron: Stéphane Lissner—his job can’t be compared to any other job in the other! The Paris Opera puts up nineteen shows a season–operas and ballets–and he is involved in every one of them. Building the season, casting, set and costume designs, dealing with visiting artists, the choreographers….And then he has the business side of it. He has to be involved in the artistry and the business of everything! 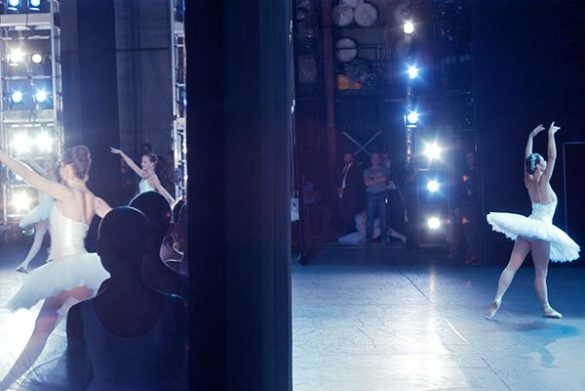 Seeing the Paris Opera through his eyes–that is an extraordinary thing. The Paris Opera, distributed by Film Movement, opens theatrically in New York City and Los Angeles this week and San Francisco, Washington D.C. , Boston and additional markets over the coming weeks. See www.parisoperafilm.com for further information.